But it's only worthwhile if you own or plan to own a 4K TV. Should you buy this console? 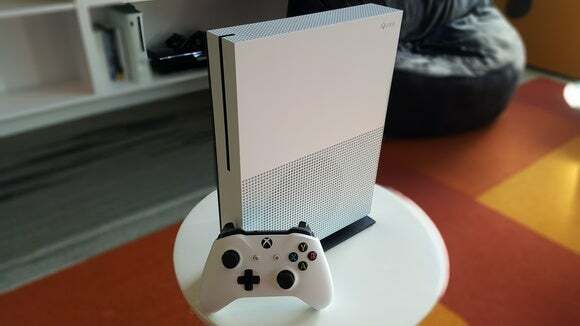 If you’re a PC-first type of person, there’s really only one reason to buy Microsoft’s Xbox One S: You own or plan to own a 4K HDR TV, and want a relatively affordable but feature-packed media box to show it off. As a gaming machine, the Xbox One S fills an awkward niche in Microsoft’s lineup. At $299 for 500GB of storage, it’s $50 more than the existing Xbox One for the same 1080p gameplay. Microsoft says the One S will upscale games to 4K, but this slimmer Xbox One will almost certainly be eclipsed in a year’s time, when Microsoft’s more powerful Project Scorpio and its promise of 4K console gaming launches holiday 2017. 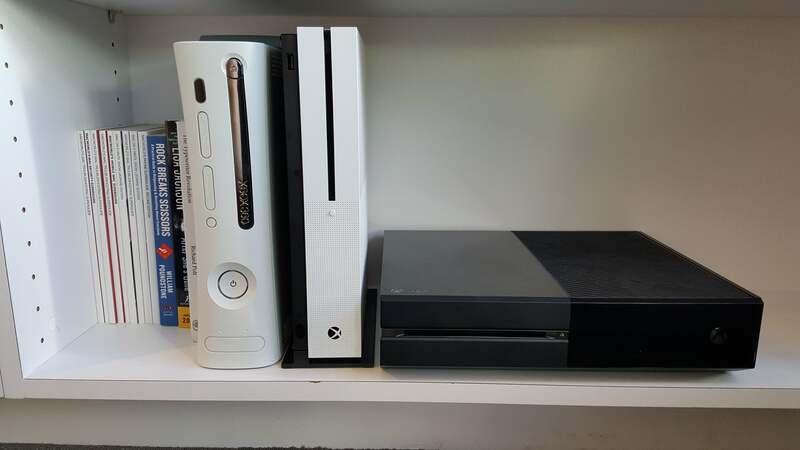 Three generations of Xboxen: the Xbox 360 (left), the Xbox One S (center) and the Xbox One (right). But unlike Sony and its PlayStation 4, Microsoft has always seemed to think of the Xbox One as the living-room gateway to its software and services. Whether touting the system as an all-in-one media box or the best platform for console-exclusive games, the company tied the machine into the Windows ecosystem. In the Windows 8 era, Microsoft provided an app that let you control the console from your PC. With Windows 10, it dangled the lure of features like streaming from an Xbox One to a PC, with new ones continually in the pipeline for launch. Microsoft has now pushed live its August update for the Xbox One—which some might call the equivalent of the Windows 10 Anniversary Update—and the One S is the first console designed to show off its new media support. 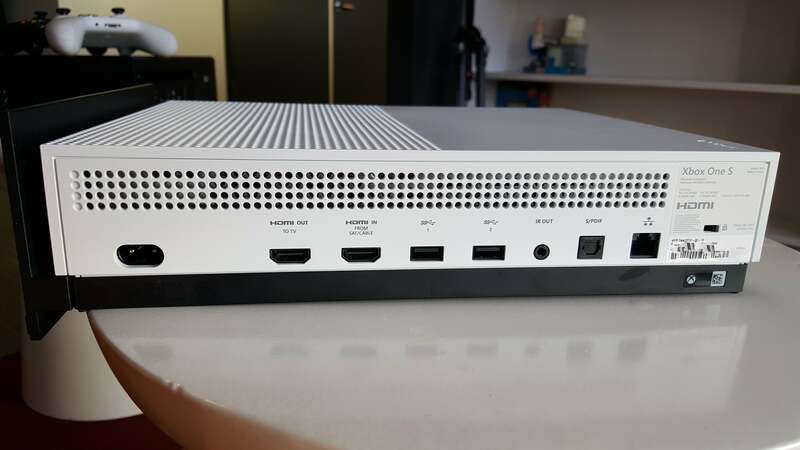 This slimmer Xbox One might catch the eye, but being 40 percent smaller by volume than its predecessor isn’t its strongest selling point. The compact design is meaningful, but not as much as the sparkling 4K content that the console can push to your TV. After 3D TVs largely bombed, TV makers began selling consumers on the next big thing: 4K Ultra High-Definition (UHD) displays. To make them even more tempting, the newest TVs feature a new metric of visual quality—high dynamic range (HDR). HDR is harder for me to appreciate without seeing a direct comparison with non-HDR content, but I sure can see the benefit of 4K. The additional resolution lends an air of reality that even 1080p lacks. More and more 4K content is finally becoming available, too, making it more worthwhile to upgrade. It’s no longer just limited handfuls of Netflix series and YouTube videos, but you now can buy 4K Blu-ray discs as well. To take advantage of the latter, however, you need to buy a 4K Blu-ray player, and they’re not cheap. Prices bounce around between roughly $200 to $400. So the Xbox One S’s support for both 4K Blu-ray discs, 4K streaming, and HDR make it seem inexpensive, especially given all of its other capabilities—much like how Sony’s PlayStation 3 was generally thought of in the same light for the first Blu-ray discs in 2006. (Sony has announced plans for its own 4K, HDR-capable version of the PlayStation 4, but hasn’t named a price or a ship date.) And that 4K content looks great on the screen, whether it’s streamed from Amazon, Netflix, or YouTube, or played off a 4K HDR Blu-ray. 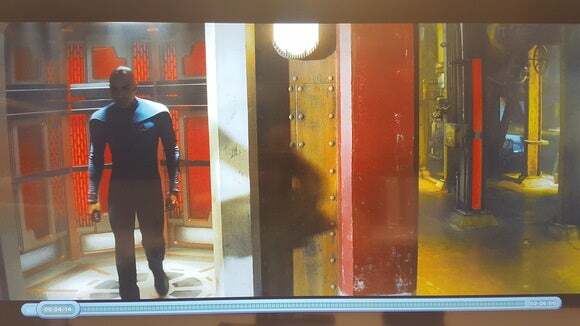 A scene in the 4K version of the movie Star Trek looks great, thanks to both the source media as well as the Xbox One S.
How much of a “Wow!” factor you’ll encounter will depend on what you watch—Microsoft provided a 4K Blu-ray of 2009’s Star Trek, but that film’s brown-and-orange palette didn’t do much for me despite looking sharp and detailed. Netflix and YouTube offered many more impressive moments, especially when viewing the sort of bright, vibrant nature videos that TV makers use to show off their new products. The S will support games with HDR, incidentally. But the first ones with that feature—such as Gears of War 4, Forza Horizon 3, and Scalebound—are still some months away. 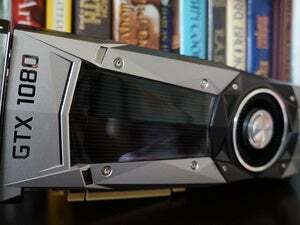 Microsoft’s Mike Ybarra has also said that the One S will upscale games to 4K resolutions—if it does, though, I saw no obvious indication of that in the One S I used for this review, even with a 4K, HDR-enabled display in the PCWorld.com labs. Keep in mind, though, that upscaling interpolates pixels, which is quite different than processing a game and textures specifically designed for 4K. Unlike the original Xbox One, the One S actually looks like a media box that would fit comfortably in your existing living-room setup. It measures 11.63 inches wide (or tall, if mounted vertically), 9 inches deep, and two inches thick—the original Xbox One, on the other hand, is about 13 inches wide and 11 inches deep. While that’s about 40 percent smaller by volume (as mentioned earlier), the One S comes with another bonus: the integration of the previously massive power brick into the system. It’s a welcome subtraction, and makes the lighter weight of the One S (6.58 pounds, or about half a pound less than the original Xbox One) even more impressive. The Xbox One S moves the One’s third USB port to the front. Cooling appears to be a priority. The dimpled front panel lacks any obvious vents. If laid flat, however, both the sides and top include an ample grille of small holes, about the diameter of spaghetti noodles, above roomy cutouts. Although there appears to be what looks like a second grille inside, guarding some of the components, it’ll be interesting to see how much cat hair and other gunk accumulates inside the One S over the course of its life. That said, in its clean state, the One S remained cool to the touch and without any apparent fan noise when tested in an air-conditioned house and office with ample airflow. Microsoft has designed the One S to be stored vertically as well as horizontally. A low-profile stand, which comes included for free with the 2TB version, slides snugly onto one side of the console, with two plastic tabs that fit into small slots. Once it’s on and the Xbox One is positioned vertically, the console should withstand a hip check to your entertainment stand—but perhaps not a disgruntled cat that’s intent on “accidentally” knocking it off. Speaking of the stand’s snug fit: Once inserted, it certainly feels like a permanent decision. I had a very “oh crap” moment when I realized that my entertainment center is set up for a generation of horizontal DVD players and DVRs, rather than vases and cable modems. Microsoft says that the stand is removable, but the process is not for the faint of heart; it fastens very securely, so your best bet is to plan your entertainment console layout beforehand. It also seals off a whole side of the One S, although I have to imagine the system’s cooling scheme accounts for this—I played Forza Motorsport 6 and Grand Theft Auto 5 for at least an hour, and even with the stand connected, the One S felt cool to the touch. I never heard its fan. 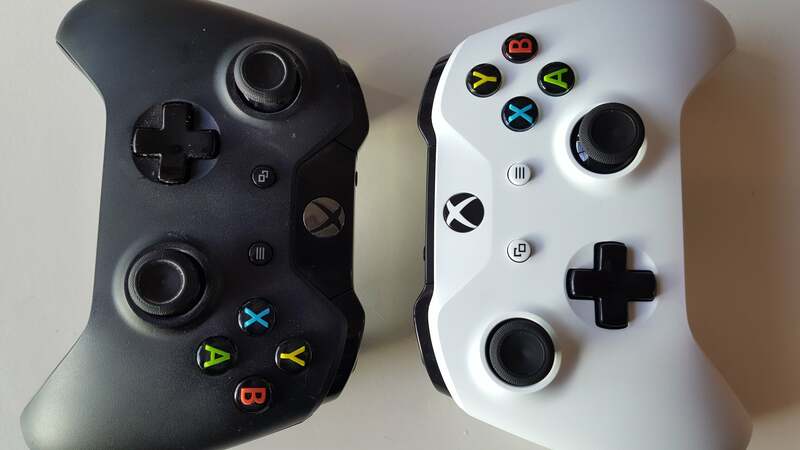 The rear of the Xbox One S.
The Xbox One controller (left) versus the new Xbox One S controller (right). Besides altering the scheme from black-on-black to white with black accents, only very subtle changes differentiate the standard Xbox One controller from the one that comes with Xbox One S. They include a textured back that promises a better grip for sweaty hands, and a 3.5-mm audio jack in the front that allows you to easily plug in a headset or headphones. The new One S controller is also Bluetooth-enabled and can be used with a Windows 10 PC sans a dongle or cord. 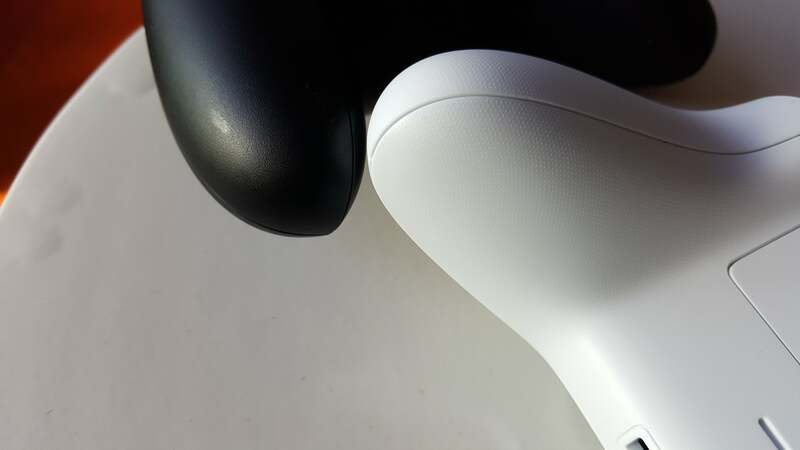 A subtle texture on the white One S controller helps sweaty palms grip the controller. Both controllers are otherwise virtually identical, though the One S controller feels slightly more “squished” from the side, perhaps in keeping with the compact feel of the One S. The shoulder buttons are both less pronounced and firmer than the original Xbox One’s controller, without quite as much travel distance and play. Gamers tend to fixate on frame rates, visual quality, and the graphics horsepower available to games on their console. But one of the shortcomings of the original Xbox One is much simpler: the lengthy boot time. My system currently requires a whopping 1 minute and 20 seconds just to actually load the main UI, and as much as 1 minute and 47 seconds before the standard notifications (“External storage ready”) disappear. The One S required just 45 seconds. Another issue is that the user interface itself seems to require time to “warm up.” The first time you try to open up the left-hand sidebar interface, the system seemingly lags for a second or two. Using the shoulder buttons to navigate back and forth between the Dashboard’s sections is satisfactory, though it seems that every so often the One S doesn’t register a button click. Once you’re navigating around the Dashboard, other small irritations crop up. These stem from legacy UI design: When the Xbox One first launched, it came out of the gate as a living-room entertainment device. For example, you can let NFL game highlights play in a snapped window alongside OneGuide listings. The problem is, snapping is cumbersome if you don’t use voice commands (either through a headset or Kinect), which is what the interface had originally been designed to use. 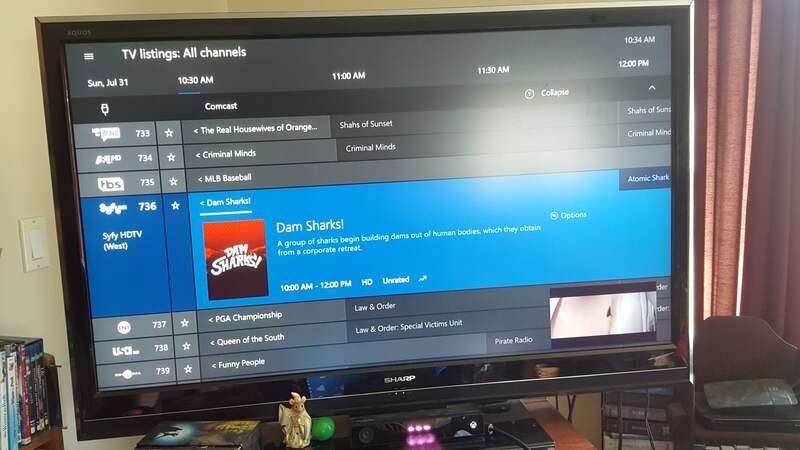 The Xbox One S can serve as your interactive channel guide. With certain shows, you can see what people are saying about them on Twitter. I do like OneGuide’s “trending” shows (which are handled better than how Comcast does it), and how Microsoft allows you to see tweets from people watching a given show. Fortunately, there’s nothing precluding me from using my Comcast interface while otherwise using the Xbox One S as a gateway. 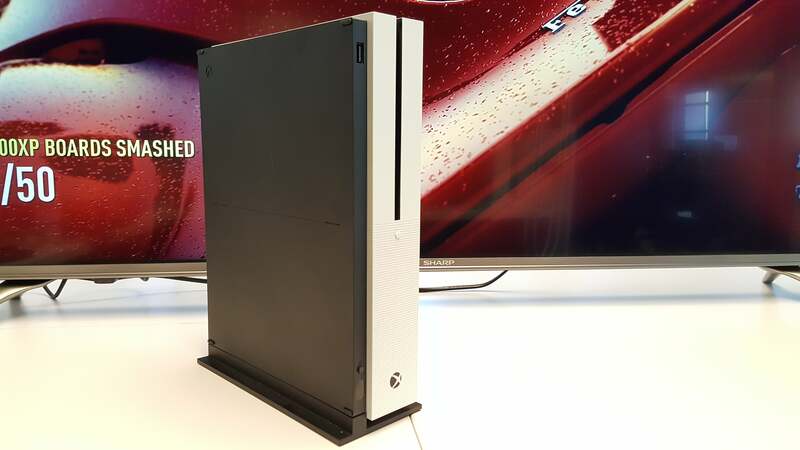 With the emergence of Windows 10 and Microsoft’s cloud services, it’s not quite enough to talk about the Xbox One S as a standalone console, like the Nintendo Wii U. As part of the Windows 10 ecosystem, the Xbox One S (like the original Xbox One) can tap into apps like Microsoft’s Edge Internet browser. It can also run UWP apps like Netflix and others. Likewise, Windows 10 has features built into it that integrate tightly with Xbox usage. And the Anniversary Update brings with it improvements for features like higher-frame-rate (60 fps) recording of games captured on Windows 10 PCs, enables cross-platform access to Xbox Play Anywhere games, and adds game hubs for PC games. Cortana makes an appearance on the Xbox One S, though she’s somewhat less useful than on the desktop. 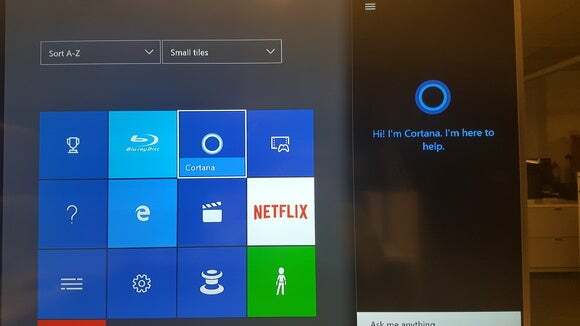 On the Xbox One and One S, Cortana makes her official debut. (As does voice commands over a headset.) In many ways, Cortana just replaces the familiar “Xbox, [do this]” commands, such as snapping a live TV window alongside a game. She’s also a bit slow to respond in certain situations, but Microsoft’s hardware, properly configured, can pick out your commands from a fairly noisy environment. For original Xbox One owners who were frustrated by Kinect’s lack of consistent responsiveness to voice commands, this Dashboard update may provide some relief. But these updates also come accompanied by some quirks in performance. In particular, my experience with the game streaming feature (which allows Windows 10 PC users to remotely control and play games from their Xbox One) was far less successful on the One S than my original console. Even though I reproduced my earlier setup— the Xbox One S was down a floor, and several rooms away—performance was inconsistent. On one night, I was able to connect a Windows 10 Anniversary Update PC to the One S, and play Forza Motorsport 6 and Forza Horizon 2 at Medium detail levels, with just occasional disconnects. A day later, and the PC couldn’t find the One S at all. Microsoft's Xbox One S may be physically smaller than its predecessor, but it's essentially an Xbox One remastered for the 4K generation.